Can't find your model number? An error occurred, please retry your last action. Our finder cannot confirm if this item fits your model. 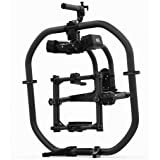 Try checking the product description for more information, or click "See all parts that fit" to see a list of products that are confirmed to fit your model. Comment: Very Good condition, very minor signs of wear on body, clean glass and works flawlessly. 90-day warranty. Comes repackaged with: lens and caps only. No original packaging or manuals. 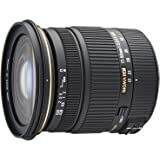 Amazon's Choice for "canon 16-35mm of 2.8l iii usm lens"
Due to the value of this item, a signature is required at delivery to protect you from loss or theft. 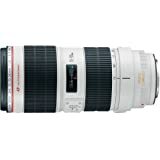 High performance L-series ultra-wide-angle zoom lens with constant f/2.8 maximum aperture. All-new optical design for significant improvements in outer and corner sharpness. Sub wave length Coating (SWC) and Air Sphere Coating (ASC) help to significantly reduce flare and ghosting. 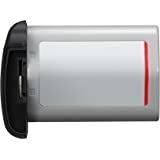 Buy this product Renewed and save $184.31. The EF 16-35mm f/2.8L III USM is an ultra wide-angle zoom lens for professional and enthusiast photographers. 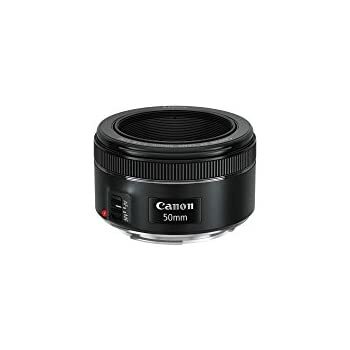 It features a 16–35mm focal range for superb perspective control, with a fast, constant aperture and the outstanding image quality you can expect from a Canon L-series lens. The maximum f/2.8 aperture gives superb control over depth of field and can be maintained throughout the zoom range, helpful for shooting outdoors at dusk, in inclement weather, or in dimly lit rooms. The EF 16–35mm f/2.8L III USM's optics are made to deliver images of remarkable clarity and depth, complementing the high-resolution sensors in the SLRs favored by today’s advanced photographers. Two UD lenses help reduce chromatic aberration, leading to precise color rendition, accurate edge-to-edge detail and sharp contrast. This means brilliant image quality, no matter the subject. The UD lenses also reduce distortion in the edges of the frame, leading to sharp indoor shots and more. This is especially helpful when using SLR cameras with full-frame sensors. 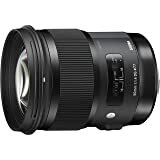 The EF 16–35mm f/2.8L III USM's lens elements feature both Subwavelength Coatings (SWC), which help prevent reflections, and Air Sphere Coatings (ASC), which are designed to significantly reduce both flare and ghosting. 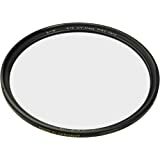 This contributes to clean images with reduced aberrations from reflected light. 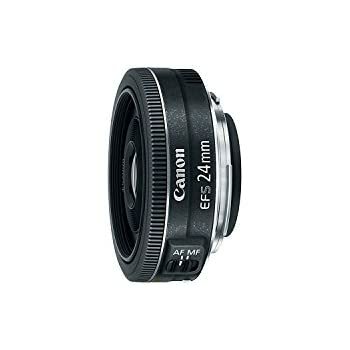 The EF 16–35mm f/2.8L III USM has a non-stick fluorine coating to maintain a clean lens. Thanks to its 9-blade circular aperture, the EF 16–35mm f/2.8L III USM is capable of gorgeous, evocative out-of-focus areas and soft backgrounds throughout its zoom range. It delivers an incredible level of control over background blur for impactful photos and videos. 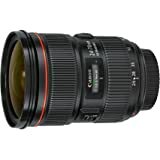 The EF 16-35mm f/2.8 L III USM is a high performance, water-resistant, and ultra wide-angle Canon L-series lens. no original box to ship in, the box is in another state. This is my 11th L lens. For many years I thought I didn't need a 16-35mm, and only recently I started evaluating this glass. With the 11-24mm, the 35mm and the 24-70mm I initially believed there was no need for an additional lens in that range. Then I started comparing the 2.8 mark III vs the f 4.0, and eventually decided to go for the extra stops. Used it for the first time for an entire weekend and found it a perfect solution for what I frequent try do: landscape and urban exploration. 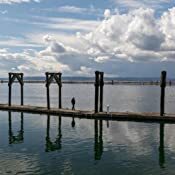 While not an expert, I feel pictures are very sharp and the focal range covered is perfect for what I do, avoiding the extra complexity of the 11-24mm in terms of wait, size, lack of filter support and inevitable distortion in the foreground. 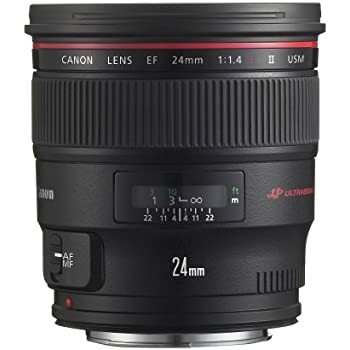 While I will continue to use the 11-24mm in the foreseeable future, I have the impression this 16-35mm will become my preferred choice in many situations and circumstances. Super flexible, is an excellent compromise offering great quality at every focal length. So far, out of 440 shots, 156 at 30+mm, 140 <+200mm, 76 in the 26-28mm range and the rest distributed homogeneously. 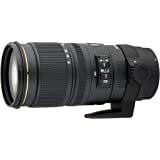 After first renting this lens from Lensrental.com for a gig I decided to buy this bad boy. Sure it weighs more than the same Mark ii version but so what? I had the Tokina 16-28 mm a few years ago and that's just as heavy and whatever abut the thing NOT flaring. Loved it but half my shots had a JJ Abrams flare going on. 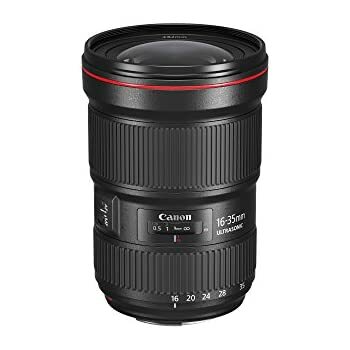 Someone wrote a review saying this Canon Mark iii lens flared and so far not one flare so I don't believe that and I've already shot about 500 shots on it. Love that the corners don't creep and the glass produces such sharp corner and beautiful picture. In a nutshell I LOVE my new lens after two weeks and I'm a pro who's shot 16 going on 17 years. 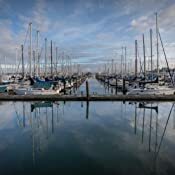 Buy it for wide angle and landscaping shots plus indoor house photography. Heck, use it anyway you want and just buy insurance in case you drop it as it's a bit of a dime. Yes it's expensive but I'm going to be using it for years to come , it comes with a sweet leather bag and a Canon lens hood. L series is finally catching up on Nikon with the L series and this bad boy proves it. 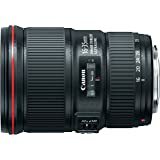 The Canon EF 16-35mm f/2.8L III series lens is the successor to the EF 16-35mm f/2.8L II series lens. 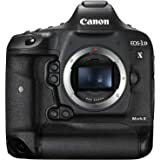 It's vastly improved image quality and superb contrast make it a worthy upgrade, if you have the extra cash to upgrade, or are buying a 16-35mm for the first time. The II series has soft corners, and exhibits way too much vignetting, IMHO, at 16mm. The III-series lens, shows very little. The saturation and contrast of the lens is superb. The III is heavier, longer, and larger in diameter than the II-series version, in addition to being more expensive. But those are the trade-offs for improved image quality. If you liked the II series version, I have no doubt you'll love the III series. Highly recommended. Ridiculously sharp at all apertures. I'm selling my 35 prime and 17-40 now that I have this sharp lense. 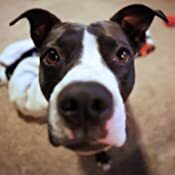 This photo sample is in low light, 16mm, F2.8, 3200 ISO, 3 inches from my pup. 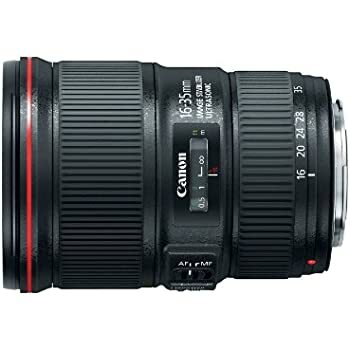 5.0 out of 5 starsSharpest Canon Lens I have ever seen! I have 30 years of photography experience going back to the 4x5 camera days. Until this lens I have never been happy with the sharpness of any digital lens. This lens is tack sharp like the old Linhof Schneider lenses. Corner to corner sharp. No chromatic aberration problems that seem to plague the rest of the canon line. Hopefully a 24-105mm lens will be the next on Canon's sharpness upgrade. 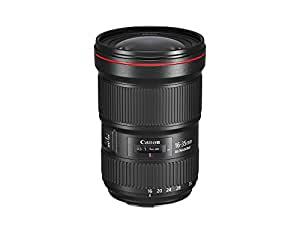 Buy this lens. It is worth the upgrade from the previous 16-35mm and it is light years better and worth every dollar that you waste on that crappy 17-40mm lens. 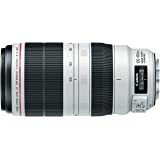 5.0 out of 5 starsAmazing Canon lens! Was looking for a wide angle lens, after reading the reviews, and doing some research, decided to get this one. Canon makes a great lens and this lens continues to demonstrate this! the f/2.8 is amazing! Now to get a full sized sensor camera body so I can see just how wide this lens really is! It is very pricy is the only down side that I can think of. As advertised. Shipped fast. Excellent lens. 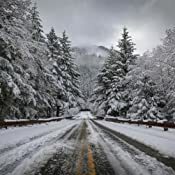 Using for landscape photos.